I started with a relatively simple premise: An adventure a day. After 24 hours I realized that this campaign would be impossible for me. How can I limit my adventures to JUST one a day? I’ve been told that I’m always on the move. As one friend told me, “V, you aggressively carpe diem.” The last couple days may be his case in point. Thursday I slept three hours due to a million vibrating molecules of excitement at the prospect of being a park ranger in Queensland. Waking up was not quite as exhilarating. 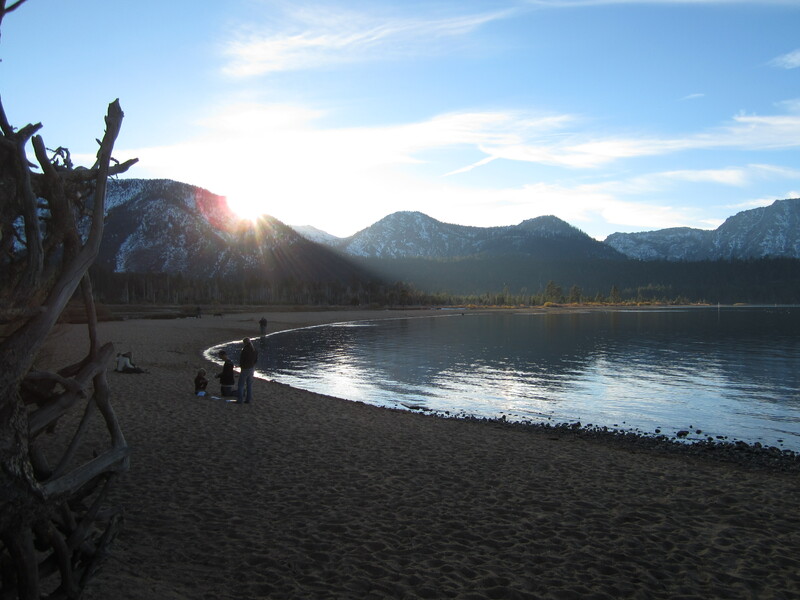 I love my job as the Communications Liaison for the CA Tahoe Conservancy, an environmental state agency, but computer screen glare doesn’t fill my vitamin D daily dosage. I biked home to host a quick happy hour on my patio below the vanilla scented Jeffrey Pine. By 6:30pm my friend Tim and I were heading towards Cave Rock, a previous cultural site for the Washoe Tribe to catch a sunset over Lake Tahoe. At 8:30, after a quick refuel of overly greasy burritos, the California standard, we drove to Fallen Leaf Lake. The moon was so full it seemed to drip into the aspens and light the trail. No headlamps necessary as we joined the coyotes in their eerie howls. Salsa verde finger licks and reflection of snow-covered Mt. Tallac made the minutes pull the moon further overhead. 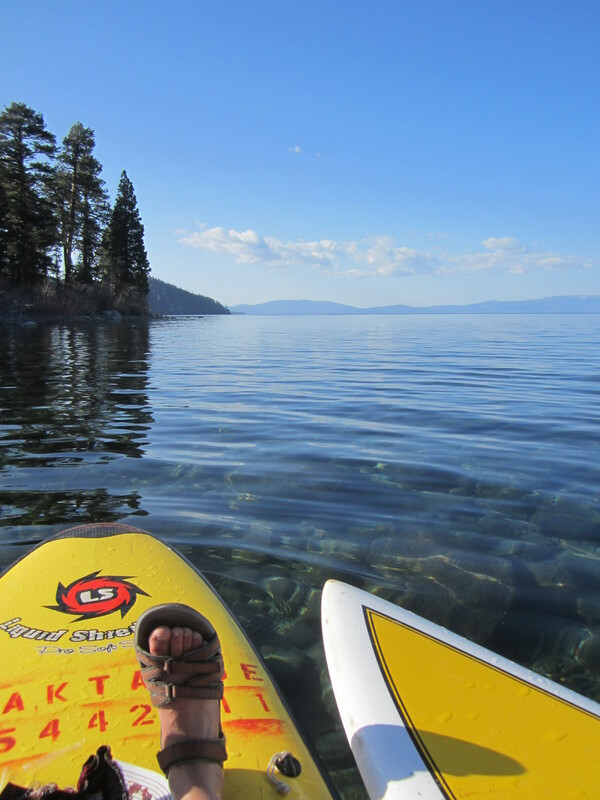 The next day, after another full day in the office, my coworker and I changed into shorts and sandals and pushed off into the blue silk of Lake Tahoe on a windless afternoon. 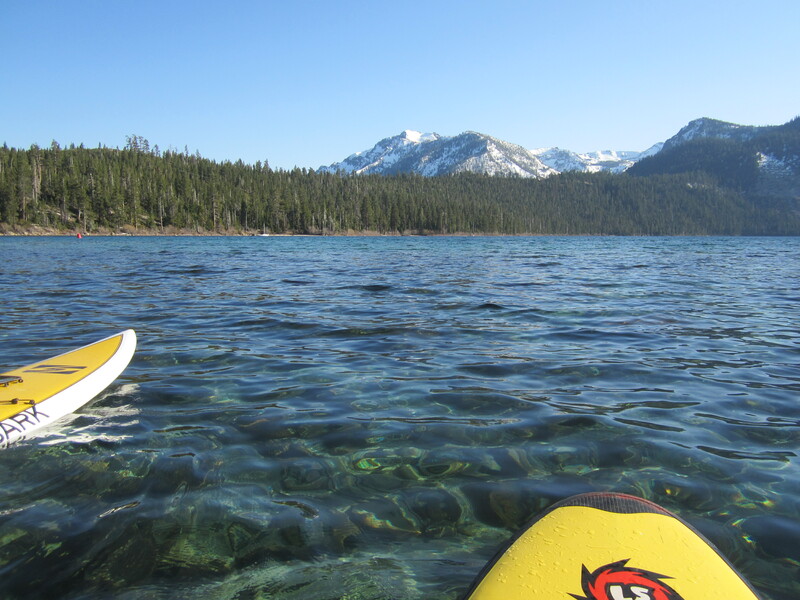 Every time I paddleboard through its crystalline water I find myself in awe. The sand lines wiggle beneath the liquid line that is so clear you have to remind yourself it exists. A vertigo of phases as the eyes move through liquid into air without a visible transition. I can’t describe the feeling of seeing Tahoe inside out, separated from the cold water by two inches of fiberglass looking out towards 8,000 foot white peaks. Moments like these, available in my very backyard, remind me why I live here. Then again, absence makes the heart grow fonder and I am on the move as I type. 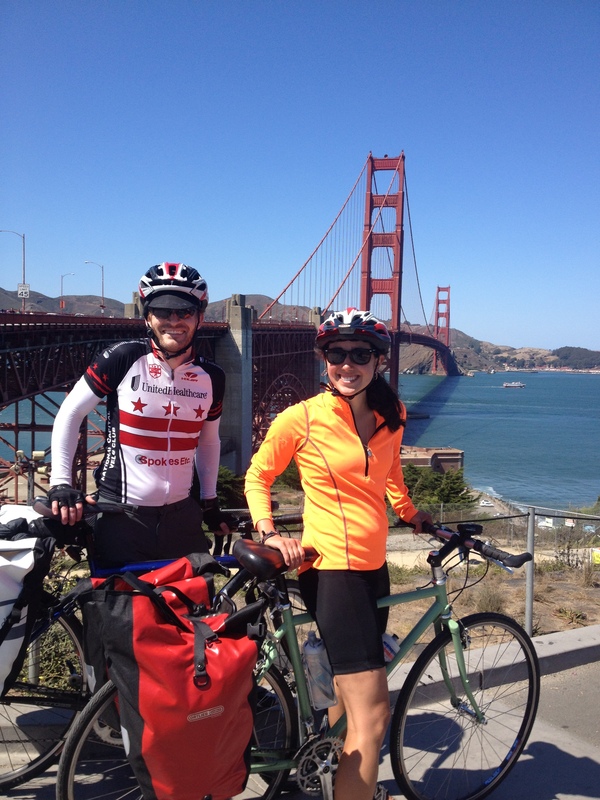 This time Matt Robertson and I are rolling down the California coast towards the wooded coastal wonderland of Big Sur. I’ll be surprising my Dad, who is currently camping in San Simeon with my stepmom (the co-surprise coordinator, her official title). We should be pulling in about 1AM since both Matt and I spent all day manning booths at the South Tahoe Earth Day and weren’t able to leave until 6pm. Even weekend warriors can manage to push the limits on the number of laughs and wows packed into a day. The moments of gratitude for living such an awesome adventurous life are reflections of the joy within. From my email update sent January 9th. If you want to get on the list send me your email. I almost didn’t get to celebrate this year. A day before my birthday I drove over an 8,000 ft. pass to get to Lake Tahoe for an interview. 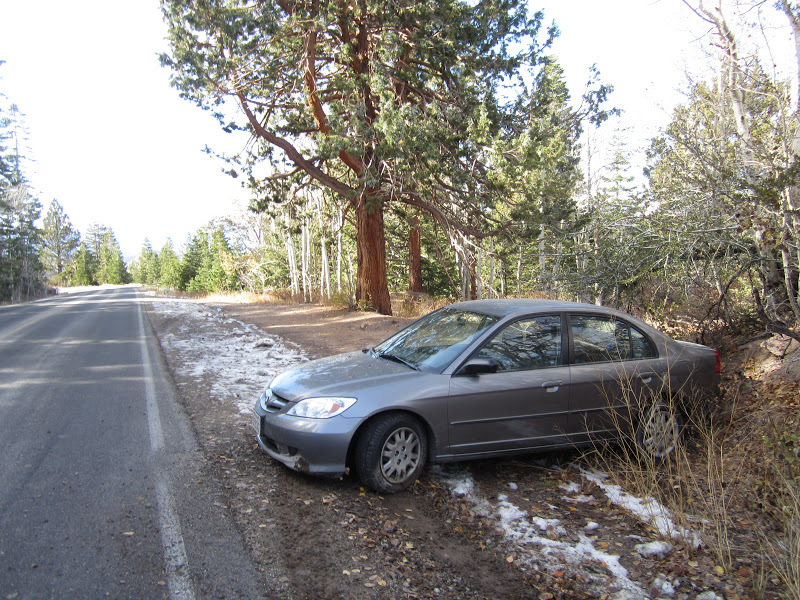 I had just traveled over the crest and was heading into a curve when I tapped on the breaks and launched into a 270 degree spin on a blind corner. I came to a halt parallel parked in the mud on the shoulder, cushioned by a willow tree. If it had happened 100 feet further I would have rolled off the cliff. I shakily got out of the car and inspected it. Not a scratch, to myself nor to my trusty steed the Silver Phoenix. Only then did I see the icy sheen on the pavement. I started the car again and slowly continued down the pass, stopping an hour later and crutching to the side of a stream to pause and reflect. I had been feeling pretty low. 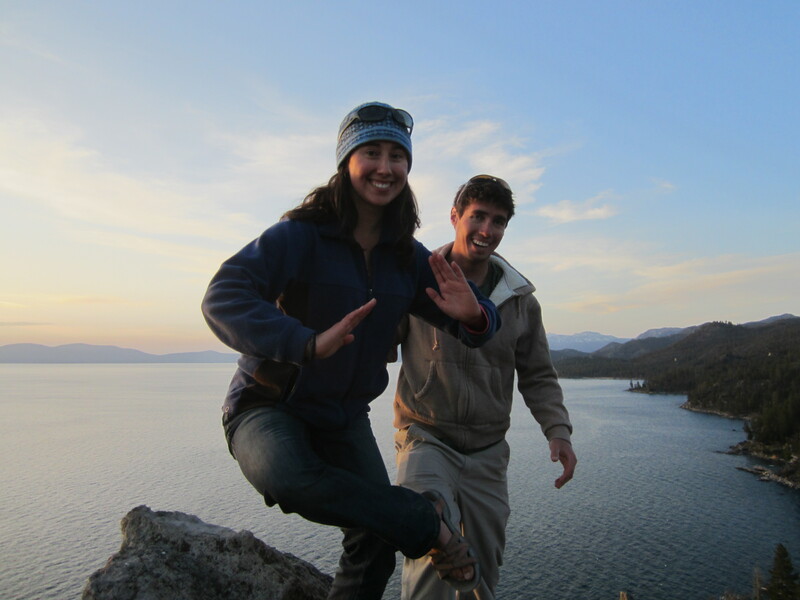 I had sprained my ankle hiking across the Sierra a week before and was going to spend my birthday in a job interview. I couldn’t even stand on my own two feet without metal poles to balance me. And then I almost ceased to exist and it spun some perspective into my lucky little world. I WAS ALIVE! I had great friends, a wonderful family, lived in a beautiful place and everything was possible. That afternoon a friend and I paused to admire the sun’s reflection on Lake Tahoe and the joy of the dogs flopping into the water. I carried that gratitude into the next few weeks as I finished a fantastic AmeriCorps position with the Eastern Sierra Land Trust and spent Thanksgiving with friends and family in LA. Early the following morning I was soaring above the fluffy white cow pies covering LA in it’s tryptophan-induced coma towards Lima, Peru. I spent a few days exploring the city of men shorter than my grandma, many of whom are afflicted with a widespread epidemic of horn honking. In Lima two worlds collide, along with about 15 million others who all cram into the 4 lane highway 7 cars abreast (on each side). I met up with Jonny and Jake, two adventurous friends from our UCLA days, and we traveled north along the coast past hours of small shantytowns separated by expanses of sand dunes. We settled in a small beach town called Huanchaco where most people walked around barefoot and even the bakeries didn’t open until 9am. A carrot top named Julian from Germany shared our double bunk dormitory with a private bath, open only to the cockroaches and other insects that frequented our shower and sink. As our Spanish improved and our immune systems worsened we spent a good portion of our days surfing or boogey boarding, doing yoga classes for about $1/hr, and reuniting for fried rice with seafood (chaufa con mariscos). 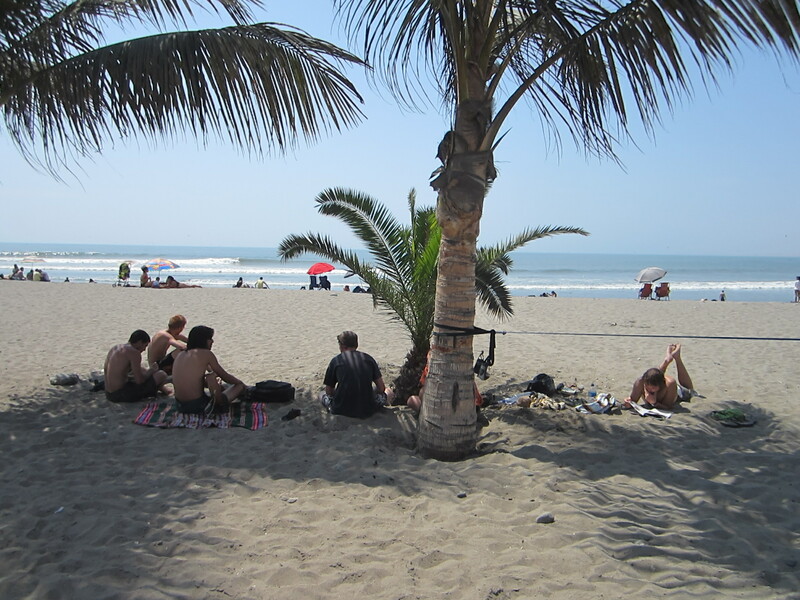 Nine days later our group dispersed and Jonny and I went north with an Aussie named George towards the warm waters along the Ecuadorian border. We got caught up in the stereotypical beach traveler’s moment in which we all sat on a white sandy dune passing around a bottle of Roncola (rum and coke), playing the ¾ guitar and singing along to the perfectly harmonized crashing of the waves. 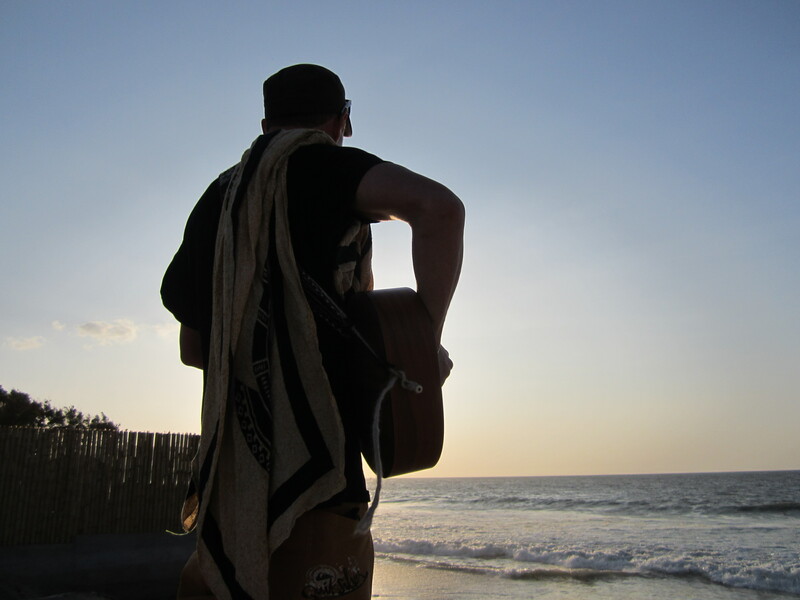 Those moments when the whole world feels right and you are only focused on the plethora of sensory stimuli – the salt water spray on your lips, the sound of acoustic guitar accompanied by a solid boom! from the sea, the round fiery ball of sol slipping behind the surf point and making the wet sand a creamy reflection of the water-colored sky – these are the postcard-perfect reasons of (part of) why we travel. Then again, the 2 am scramble in the dark to the not-so porcelain pony highlights the slimy, grotesque side of 3rd world travel. Fortunately I only got food poisoning once this time around in Peru! The Peru diet took hold of my bowels with liquefying strength, though it politely waited until I was back in the land of toilet paper friendly toilets. I spent the holidays with my families in LA and Washington, making up for any sort of weight loss with hearty helpings of sweets and barbeque. Yule time flies when you’re catching up on sleep, sailing towards blue skies and walking around Vancouver, Canada. I enjoyed a quick LA whirlwind of a 2nd Christmas, packed up my Honda Civic with my belongings and drove up to Mammoth to celebrate the New Year and do my first ride of the season, a backcountry snowboard run on excellent powder! January 1st I drove to South Lake Tahoe, found a place to live and by 8:30pm was unloading my possessions at a new address. The birthday interview from the beginning of this verbose email resulted in a stellar position with the California Tahoe Conservancy as their Communications Liaison. For the next year I will write press releases and website content, amongst other duties on an ever-growing list, for an environmental agency filled with like-minded outdoorsy, passionate people. I hope that I’m as good a writer as they think I am. 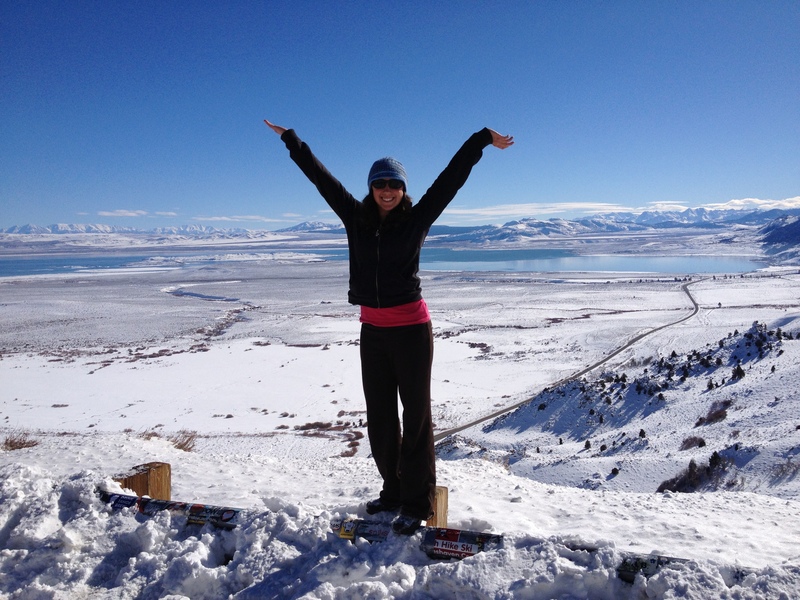 Wishing everyone a joyous, whimsical, healthy and adventurous 2013! Remember Tom Robbins’ wise words as you debate whether or not you should frolic through the meadow or get on stage and sing karaoke, “Those who shun the whimsy of things will experience rigor mortis before death” (from Still Live with Woodpecker). Hopefully I will be joining you for both of those events and more. Thank you for being you and come visit!